The patriarchal influence of marketing music sales leaves Askia unfettered. Her style in this music video is a mixture of aggression, pride, and bravery that reflects the persistence to overcome gender discriminatory constraints women face in society. 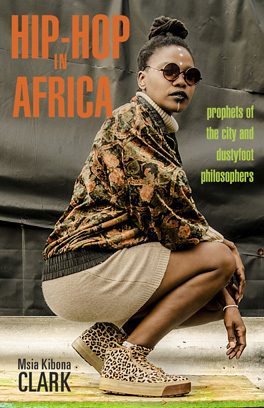 In a music industry dominated by men, such that it is rare for female rappers to gain the same recognition and popularity as male rappers, Askia flips the status quo by projecting herself and her crew as artists unperturbed by the systemic limits presented by patriarchal culture. Her aggression and flow make up the confidence that translates to No Worry Me. The music video is a piece of art that blends black and hip-hop feminism to depict the strong female presence amidst a male dominated Pan-African identity. The setting of the video reflects a departure from darker undertones that are often adopted by male rappers. The color gold in Askia’s outfit displays the success and luxury she’s derived in a male dominated music industry. The black shorts and shirts of her backup dancers represent the strength that upholds the persistent breakdown of constraints for female rappers in the hip-hop industry. Ultimately, the juxtaposition of gold with black symbolizes the fact that strength is needed to uphold the breakdown of the status quo – which is considered a luxury for many women around the world. Finally, the video is set in a desert and not within city limits. Once again, Askia departs from the traditional (aka: patriarchal) approach to filming a hip-hop video, which often involves groups of men occupying streets. The simplicity of the setting – which includes rocks, sand and tires – counters the image of female rappers as gold diggers and peripheral figures in hip-hop. With this representation, Askia rejects internalized sexism within hip-hop, and endorses hip-hop feminism. In essence, this music video is an assertion of feminism within hip-hop and rejects the socially constructed inferior view of women in hip-hop as dependent on their male counterparts, or as women prescribing to patriarchal culture. With her aggressive style, and artistically symbolic music video, Askia hushes critics to harness the power of women in hip-hop.